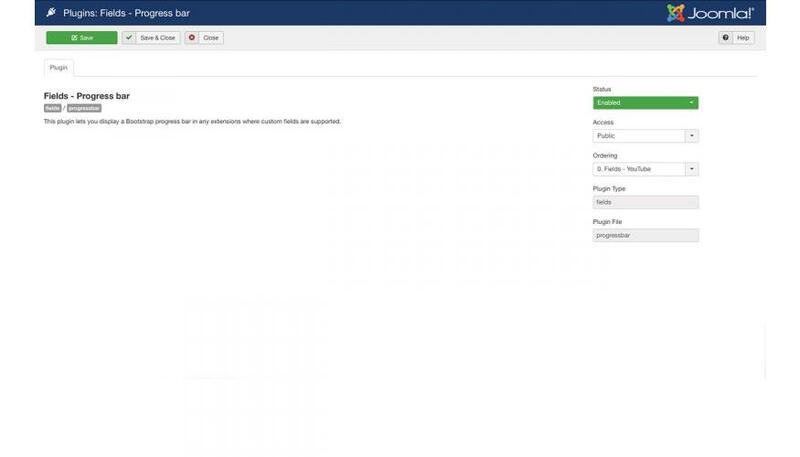 A custom field to display Bootstrap progress bars in your Joomla content. 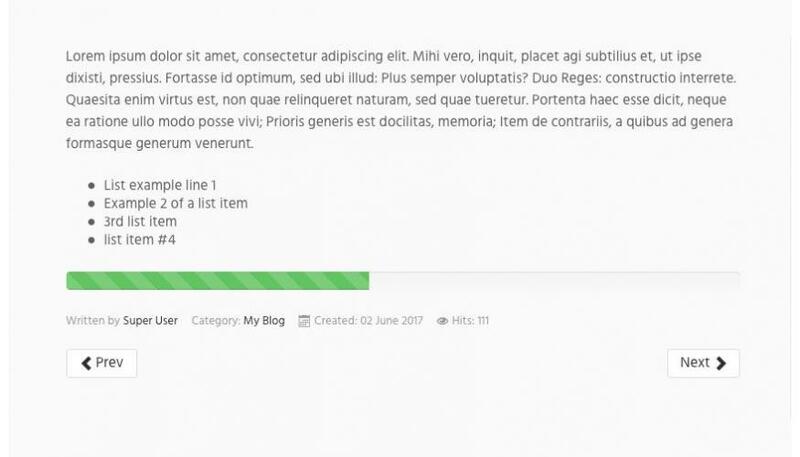 Adding Bootstrap progress bars to your content is as simple as adding a few lines of HTML to an article, but can be an issue with text filters and restrictive WYSIWYG editors. 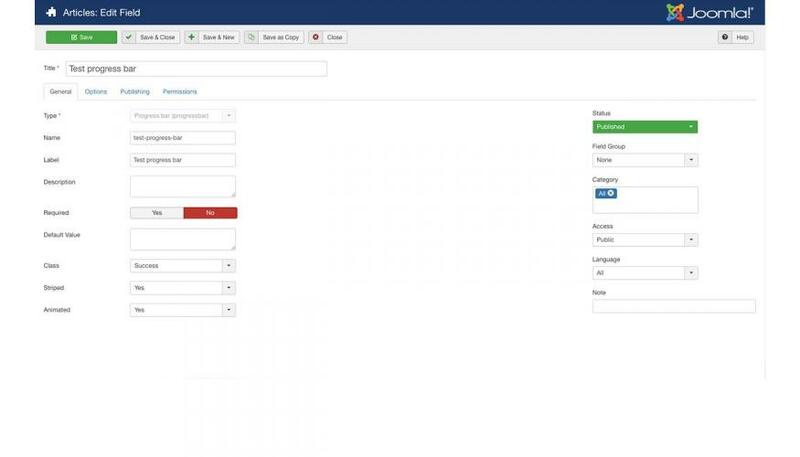 The Progress Bar custom field takes all the hassle out of adding a progress bar to your content. Save time and headaches and give your client a quick and easy way to add the markup without needed to know any HTML. Have an idea or need a new custom field?